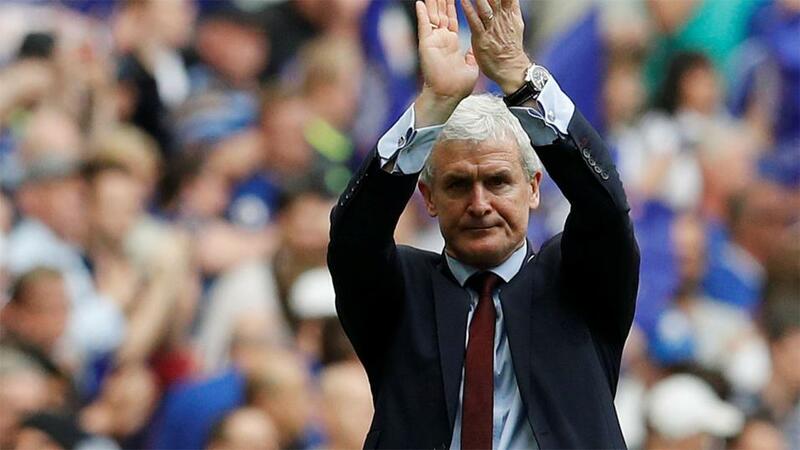 Could this be the end of the road for Mark Hughes? Manchester United scraped past Young Boys in midweek thanks to a late winner, as they narrowly avoided going back to back games at Old Trafford without scoring. Jose Mourinho's men now really need to step on the gas in the Premier League as they are seven points adrift of the top four, and they absolutely have to win at St Mary's this evening. United have only won three of their seven on the road this term, and the problem has been at the back as opposed to in defence. They have kept just the one clean sheet, but have scored in every game - twice on five occasions. Fortunately then, they travel to St Mary's today to take on a Southampton side who are really struggling to put the ball in the net. The Saints failed to score in the cup at Leicester during the week, and they have netted just four home goals all season. Find out why Dave Tindall also fancies a United win by clicking here. This selection would have landed five times over at Villa Park on Wednesday night, and that came on the back of a 4-2 derby day win over Birmingham. They face a different kind of opponent today, but I still fancy at least one goal at each end. The Boro are third in the Championship and unbeaten in eight in all competitions. They have conceded in their last two outings though - albeit they were away from home. At the Riverside it's seven clean sheets from nine league matches, but they won't have faced an opponent in better goal-scoring form. Dean Smith's men have scored 14 goals in their last four games, and that includes three at Pride Park against a very good Derby outfit. Tammy Abraham is red-hot, and arguably too good for this division, so I just can't see them not finding the net. Don't forget to check out Mark O'Haire's full match preview of this game. It's been a tale of woe for Monaco this season, whereas Montpellier have been excellent. The visitors to Stade Louis II are in third place in Ligue One, just one point behind Lyon in second. Monaco on the other hand are second from bottom, with a mere 10 points to their name. Thierry Henry has been unable to arrest their slide, and they fell to another defeat in the week - a 2-0 loss at Atletico Madrid in the Champions League. The positive for Henry however is that his team won their first match since the opening Saturday of the season last weekend - a 1-0 victory at Caen. They face a much tougher opponent here though, so they need to improve again. Montpellier have only won one of their last four in all competitions, so their good form has slowed down a bit. I very much doubt that they will be beaten by Monaco though, so the draw looks like an appealing price at 9/4. James Eastham is our resident French football expert and his tips for Ligue One this weekend can be found here.